The scholarships are designed for students coming from a Developing Country (preferably from Countries classified as Low-income economies and Lower-middle-income economies by the World Bank; see Official Website. and for Developing Countries students who received a scholarship financed through the FC&K for the academic year 2010-2011 (in this case, expenses for VISA and for travel will not be covered). Only students born on/after the 1st January 1976 can participate. 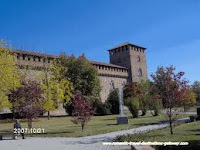 At the end of the academic year, the University of Pavia will issue an academic transcript of records certificating the kind and the period of study. Demikianlah informasi Scholarship Opportunity for Students from Developing Countries to Study in Italy kami sampaikan, semoga bermanfaat.